Many homeowners buy their homes with a patio or install a new patio with the idea of resting, relaxing and unwinding in the summer months. With temperatures at near-freezing numbers, that idea probably is not a good one right now. As the weather changes, your patio can be affected by unfavorable weather conditions, such as snow, ice and freezing rain. 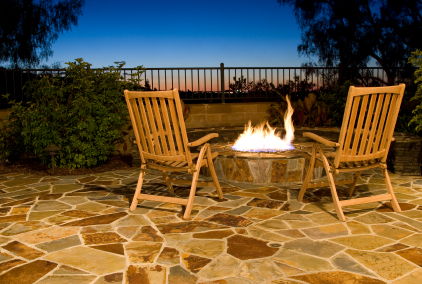 It’s important to know how to protect your patio and its furniture not only during inclement weather but also during the chilly winter months. Here are a couple of tips that can help keep your patio and its furniture looking just as new in the winter as it looked when you first purchased it. Before doing anything else, give your furniture a thorough cleaning. Use the appropriate solution for your furniture material (in other words, use metal cleaner and not water for metal furniture). You want to do this to get rid of excess dirt and grime. The winter months will provide plenty of that, particularly with a winter storm. Some wood products associated with your patio or furniture can erode with unfavorable weather conditions. Some plastic products can crack and break with freezing temperatures. Some aluminum products must be covered to avoid rust. Know your furniture and accessories, and be sure to take care of them. For patio furniture cushions, tablecloths and other fabrics, it’s recommended that you wash these periodically, perhaps twice each season. While some experts suggest machine wash is appropriate, others suggest to hand wash your accessories. Make sure to effectively air dry in an arid environment or use a low-air dryer to avoid potential mold and mildew. 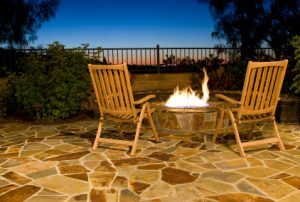 Our Fort Worth TX landscapers know that a great patio – no matter the season – can be the talk of a neighborhood, and we want to help you maintain your patio and its furniture throughout the winter months. Let our landscape design experts assist you today. Call our Fort Worth landscaping company, or contact us online for more details.